Introduces a methodology for giving mathematical meaning to programming languages and systems. Presents the topic from an engineering viewpoint, emphasizing the descriptional and implementational aspects. David Schmidt wrote:After you gunzip/unzip the files, please read the enclosed README file so that you understand exactly what you have obtained for free. Denotational semantics is a methodology for giving mathematical meaning to programming languages and systems. It was developed by Christopher Strachey's Programming Research Group at Oxford University in the 1960s. The method combines mathematical rigor, due to the work of Dana Scott, with notational elegance, due to Strachey. 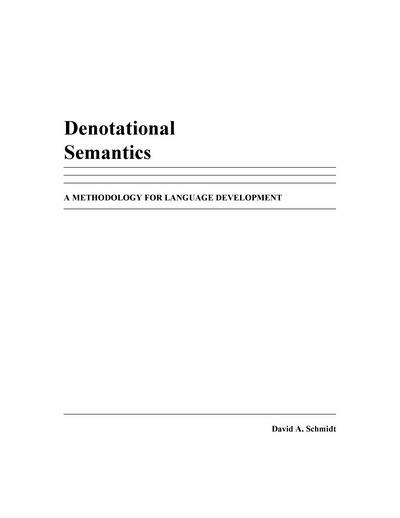 Originally used as an analysis tool, denotational semantics has grown in use as a tool for language design and implementation. This book was written to make denotational semantics accessible to a wider audience and to update existing texts in the area. It presents the topic from an engineering viewpoint, emphasizing the descriptional and implementational aspects. The relevant mathematics is also included, for it gives rigor and validity to the method and provides a foundation for further research. The book is intended as a tutorial for computing professionals and as a text for university courses at the upper undergraduate or beginning graduate level. The reader should be acquainted with discrete structures and one or more general purpose programming languages. Experience with an applicative-style language such as LISP, ML, or Scheme is also helpful. David Schmidt is a native Kansan, and he has been employed at Kansas State University since 1986. 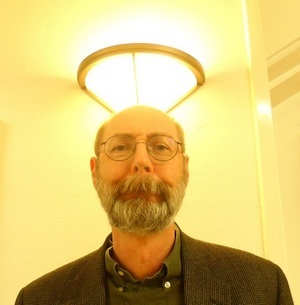 His interests lie in design, analysis, and application of programming languages.